In the village of Naidi on the island of Vanua Levu, many of the most important activities take place at night. Prawn fishing in the river that runs through the village. At the nights the prawns are blind, but their eyes glow when torch light bounces off them, making them easy to catch. Performing a traditional meke dance. 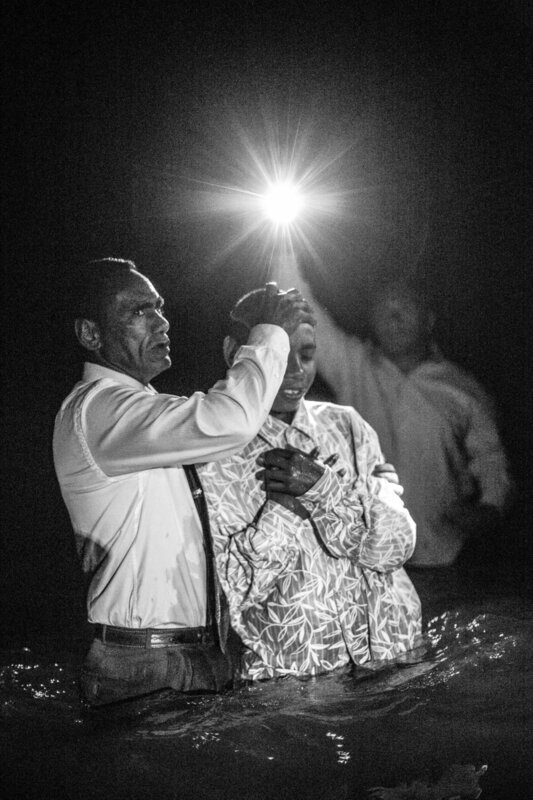 A night baptism takes place in the sea. A villager sets up nets at the river opening to catch big fish as the tide goes out.